LOS ANGELES -- Fiat Chrysler Automobiles will debut Alfa Romeo's new midsized sedan next June, according to Automotive News Europe sources. The sedan will be positioned in the market between the BMW 3 series and BMW 5 series, sources said. Codenamed project 952, the sedan is a successor to the Europe-only 159. Originally due in 2014 badged as the Giulia, the new sedan most likely will get a different name. At the Los Angeles auto show, Alfa Romeo brand chief Harald Wester said the new model will debut in June but declined to comment on the type of vehicle. Alfa will introduce eight new models by 2018 as part of Fiat Chrysler CEO Sergio Marchionne's plans to boost the brand's annual sales to 400,000 vehicles in 2018 from 74,000 last year. Alfa has started development on three of the eight new models, sources told Automotive News Europe earlier this year. The midsize sedan is one of those three models, along with a midsize SUV and a flagship large sedan. The flagship sedan will be sized between the BMW 5 series and BMW 7 series. The midize SUV will be about the same size as the Audi Q5. A second, larger SUV will follow later. North America, where Marchionne expects Alfa Romeo sales to go from nearly zero to 150,000, will be a key market for the brand. Alfa's growth into one of Fiat Chrysler's main global brands, along with an imminent U.S. relaunch, is on target, Reid Bigland, the brand's North American chief, who also heads U.S. sales for the Chrysler Group, said at the show. The first shipment to the United States from Italy of 54 of the Alfa Romeo 4C, a niche sports car, was sent last week, Bigland said. 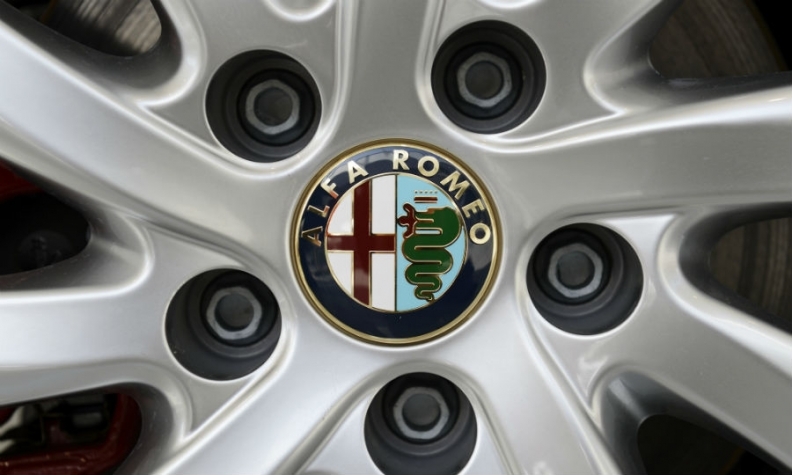 They will be the first Alfa Romeos sold in the U.S. market since 1996. The 4C will launch in the U.S. with versions priced around $70,000. A base model that costs about $55,000 will be available later. Bigland said that about 82 Fiat or Maserati dealers will initially sell the Alfa 4C in the United States, along with two in Canada. The sales outlets will increase to a total of 120 by the first quarter, and 200 by the end of 2015. The 4C will be followed by a line of Alfa models to be sold in larger numbers, but Bigland would not talk about the timing of future models. Fiat Chrysler has previously said that the next new Alfa model will be introduced in mid-2015, but Bigland declined to say when it would reach the United States or give details about the model.